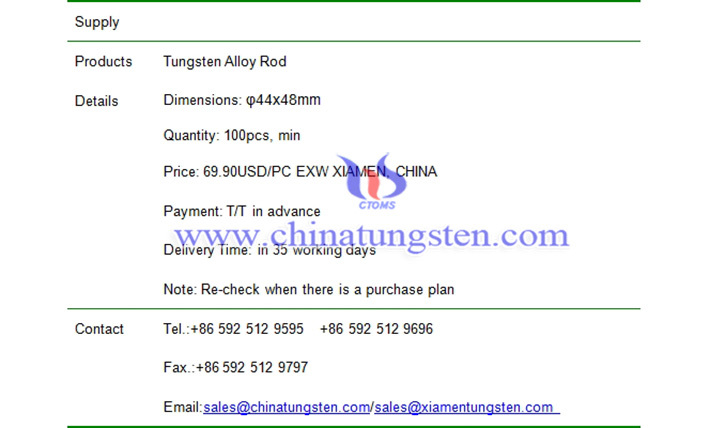 φ44x48mm tungsten alloy rod price is 69.90USD/PC on Dec. 26, 2018. The composition of the rod is 92.5WNIFE with density of 17.4~17.6g/cc. Its size conforms to international standard ASTM B777. All material is lot controlled, stress relieved, and formed through high temperature pressing and sintering processes. This rod is perfect for machine shops, labs, research and development, and DIY machinists. 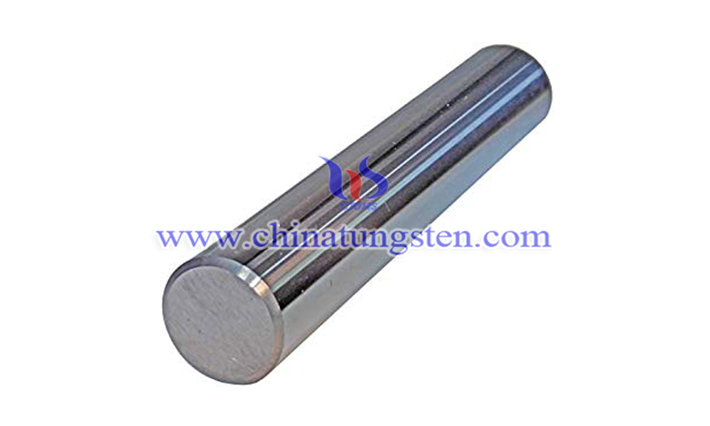 Tungsten alloy is much easier to machine than traditional pure tungsten. Certified by MIIT:闽B2-20090025　闽ICP备05002525号-1　 闽公网安备 35020602000140号 Copyright © 2019 Chinatungsten Online. All Rights Reserved.